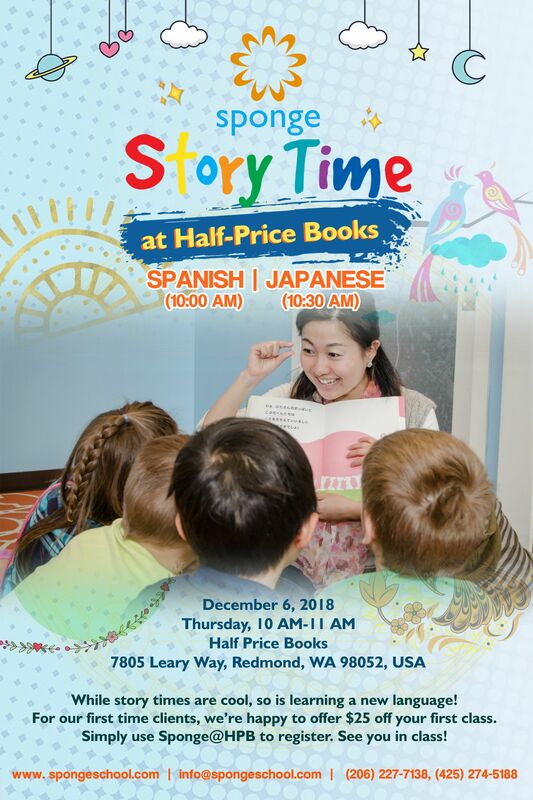 Kids of all ages and their families are invited for an in-language holiday story time session with us at Half-Price Books, Redmond (7805 Leary Way, Redmond, WA 98052), on Thursday, December 6, 2018. Celebrate family literacy, and immerse yourselves in language and culture with Spanish and Japanese folklores from 10am to 11am. See you there!